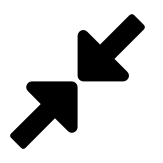 To see the icons for video controls, you'll need to hover your mouse over the video. Open the video you want to see subtitles for. 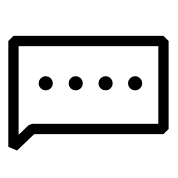 Hover over the speech bubble icon . Choose the language you want to see subtitles in. To turn subtitles off, follow the steps above and choose Subtitles Off. 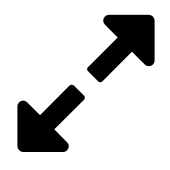 With the video open, hover over the sound icon . Drag the volume bar to change the video volume. You can also change the volume for the device you're using the watch the video. With the video open, click the expand icon . To exit full screen mode, click the icon again . The video quality changes how fast the video will load over the internet. It also changes how clear the video will be. If you have a slow internet connection, try Low or Medium video quality. If you have a fast internet connection, try High video quality. 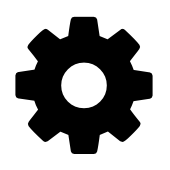 With the video open, hover over the gear icon . Under "Video Quality," use the + and - buttons to choose the video quality you want. The playback rate controls how fast the video will play. If you're having trouble understanding a video, try a slower playback rate. If you want to review content more quickly, try a faster playback rate. Under "Playback Rate," use the + and - buttons to choose the speed you want. If you turn on autoplay, the next video will automatically play after one video finishes. If you turn autoplay off, the video will pause before starting the next one. Under "Autoplay," click On or Off.